The car can be modded fairly easily. The gas mileage is not as good as it could be also the car is fairly comfortable and drives very smooth. The car rarely has issues and those are easily fixed by taking it to an auto shop. The car has heated seats which are amazing in winter because it allows me to stay warm and keeps my legs from going numb. 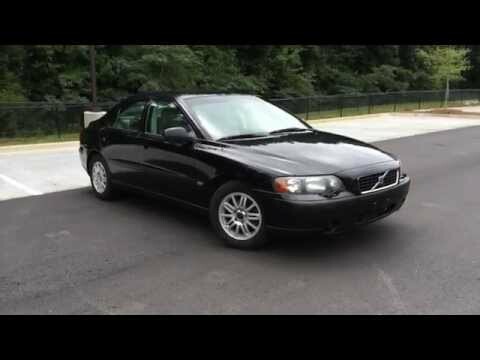 The Volvo s60 is a comfortable and reliable car. The seats are really nice and comfortable. For long drives it is the car that I choose out of all the cars that I could drive. Its an older model that does not have a lot of automation but it has everything that you really need. It is also really reliable and trustworthy. Trusted, reliable, great brand, well cared for s60. As it ages little aesthetic things are going wrong. I feel safe n my car and still love look of it. Maintaining the car is expensive though. It makes a funny sound when I turn the ignition off. Yet it still looks very good for the age of it. Still love my car.